Greenhouses provide a protected environment for growing plants. They use solar energy for heat, but are also generally equipped with supplementary heaters, as well as fans and vents to help control temperature and humidity inside the house. Greenhouses can be constructed in a wide range of shapes and sizes, and out of many different materials. UMass Greenhouse Crops and Floriculture Program’s list of fact sheets on Greenhouse Management and Greenhouse Engineering. High tunnels (sometimes called hoop houses or field houses) are structures similar to traditional greenhouses, except that they are generally unheated and passively vented. High tunnels allow for growing directly in the ground, but with more warmth and protection than growing outdoors. These structures can be used to extend the growing season into late fall, winter, and early spring. All About Hoop Houses, featuring unheated greenhouse specialist Adam Montri of Michigan State University. Video series from sustainablefarmer.com on building a hoop house and hoop house production. Adam Montri and his friends build an unheated 34 by 96 foot greenhouse at his Ten Hens Farm in Bath, Michigan. The first two videos below offer information on building the hoop house. The final three videos feature Adam in the completed hoop house offering tips on everything from watering crops in winter to marketing directly to consumers. Low tunnels are temporary, unheated structures 4-8 ft tall, 5-10 ft wide with hoops made of conduit (plastic or metal), covered with spunbonded rowcover, and/or plastic. 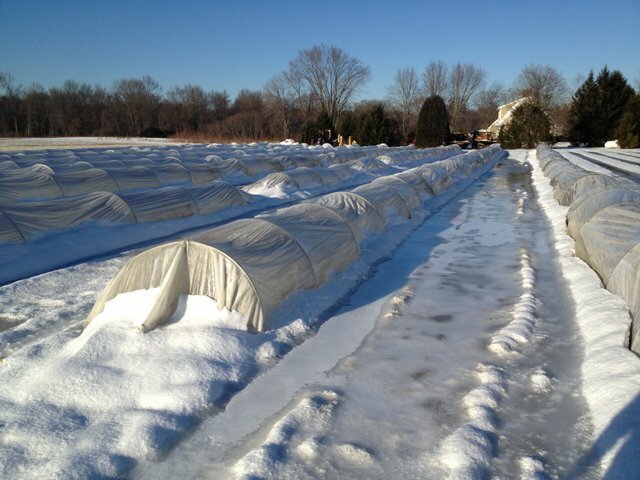 While they afford less winter protection than a heated greenhouse and are inaccessible after snowfall, low tunnels with quick hoops can be erected for $0.50-$1.00 per square foot, estimated to be 5% of the cost of a 4-season greenhouse (Coleman 2009) or 15-30% of the cost of an unheated tunnel. They offer the advantage of being easily moved, allowing rotation of winter production areas. 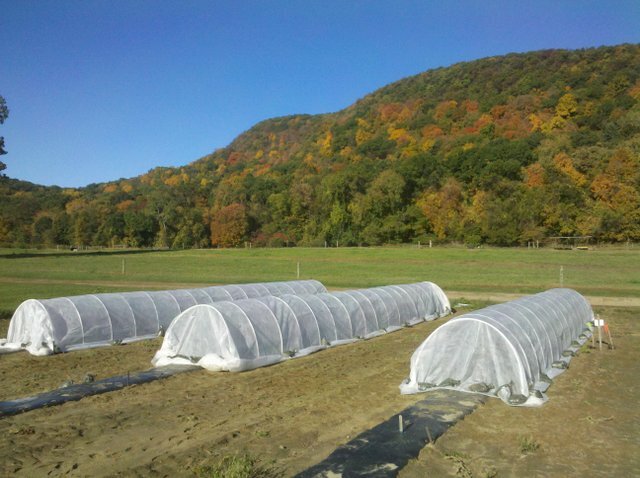 In New England, low tunnels are primarily used for prolonging the fall harvest season until just prior to snowfall. 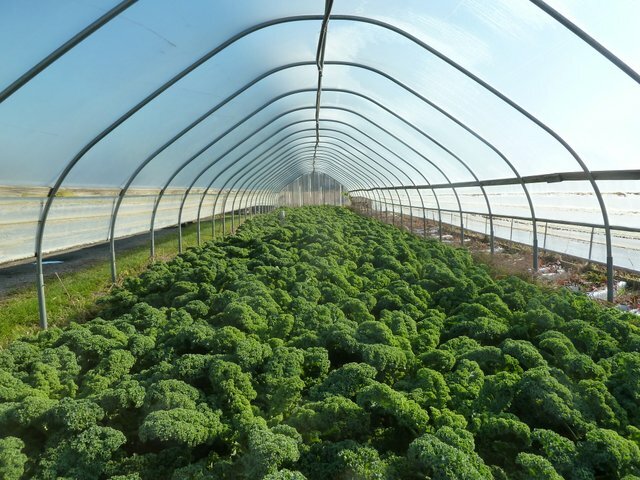 Many farmers have found that low tunnels can also work for overwintering crops of the brassica, allium, chenopodia and umbel families for spring harvest. 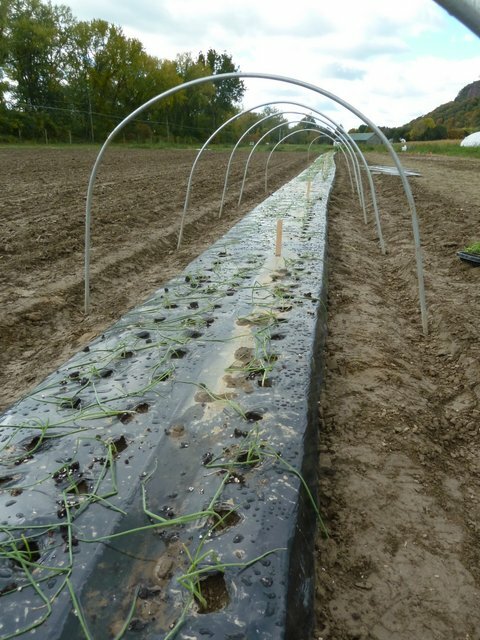 Low tunnels have been shown to provide sufficient winter protection for fall-planted extremely hardy crops to survive and speed up spring harvest by 4-5 weeks (Coleman 2009). These simple structures serve as a cost-effective strategy for filling the March to May gap in vegetable harvest. Low tunnels are temporary, unheated structures 4-8 ft tall, 5-10 ft wide with hoops made of conduit (plastic or metal), covered with spunbonded rowcover, and/or plastic. 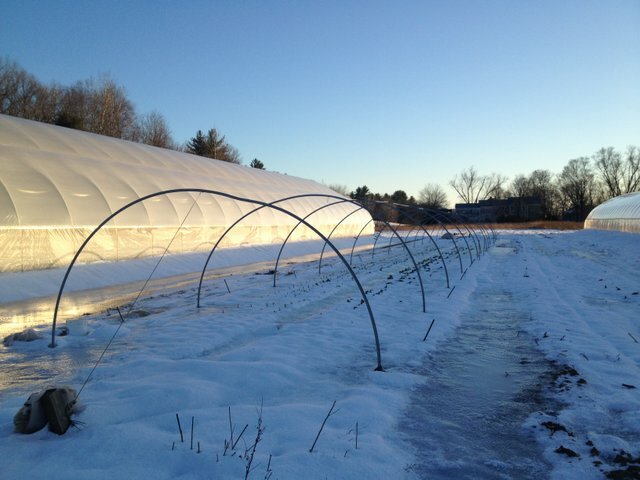 While they afford less winter protection and are inaccessible after snowfall, low tunnels with quick hoops can be erected for $0.50-$1.00 per square foot, estimated to be 5% of the cost of a 4-season greenhouse (Coleman 2009) or 15-30% of the cost of an unheated tunnel (Sideman). They offer the advantage of being easily moved, allowing rotation of winter production areas. In New England, low tunnel are primarily used for prolonging the fall harvest season until just prior to snowfall. 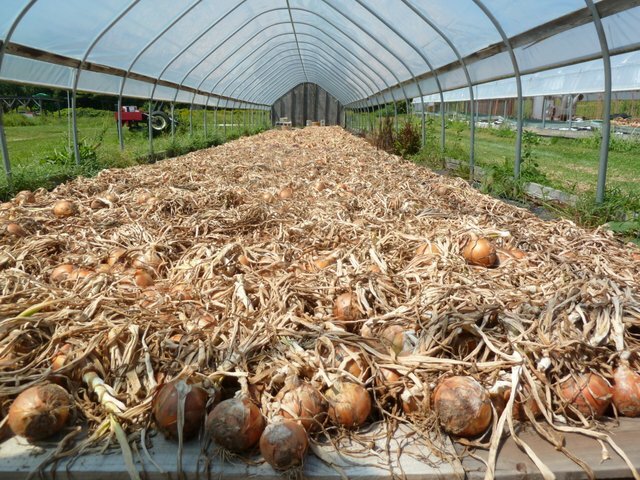 Many farmers have found that low tunnels can also work for overwintering crops of the Brassica, allium, Chenopodia and umbel families (Coleman 2009, OHare 2006). Are you interested in constructing your own Low Tunnels? Follow this LINK to a document put out of Johnny's Selects Seeds for Instructions. 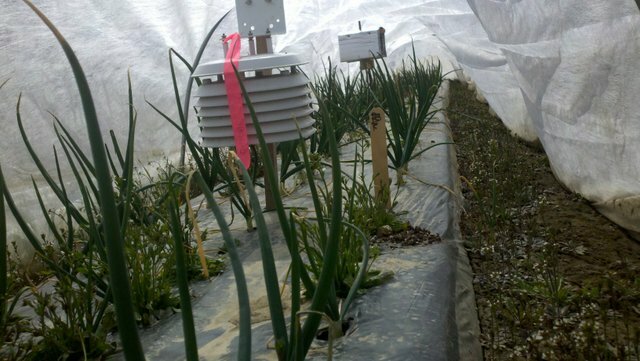 Check out the UNH/UMASS LOW TUNNEL TRIALS comparing materials, crops and varieties. The season extension research done by UMass and UNH over the course of our joint SARE-funded project was largely focused on vegetable production in low tunnels. Please see the following research reports for the methods and results of these field trials.